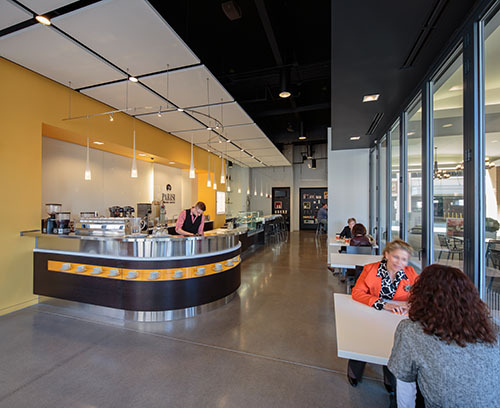 The same wonderful espresso as at their Union Station Cafe can now be enjoyed where the buffalo roam! These are of the new Parisi Cafe, Park Place Location. Designed by Helix. I was pulling into a drive-though espresso place where there are two ways you can go: left or right. Two or three cars were already in line on the right side, so I went left. It wasn’t until I was practically on top of it that I notice a sign laying flat in the driveway, “PLEASE USE OTHER LANE”. So I back up – or try to. There is already another car behind me now, so I decide to drive on through – the sign is flat so I figure even a Civic can clear it. I drive aound to the filling station next door to get my friggin coffee but noticed a scrape-y, drag-y sound under the car as I rounded the corner. I look under the car and see nothing. I get my coffee and head out onto the highway where after a couple miles the drag-y sound gets loud. I pull over onto the shoulder and wait a half-a-minute while a thousand cars blast by and then get out to take a look. Apparently the combination of highway wind speeds and heat from my exhaust pipe softened up the sign enough it could reach pavement. Half of what started out as a sandwich sign (pictured below) had wedged it’s way tight between the floor of the car and the exhaust pipe when I drove over it. I pull the melty, drag-y, wedge-y sign out – a pretty major yank for a skinny old man laying in gravel – and drive it home in the trunk. Maybe I’ll give it back to them, maybe I’ll recycle the damned thing. 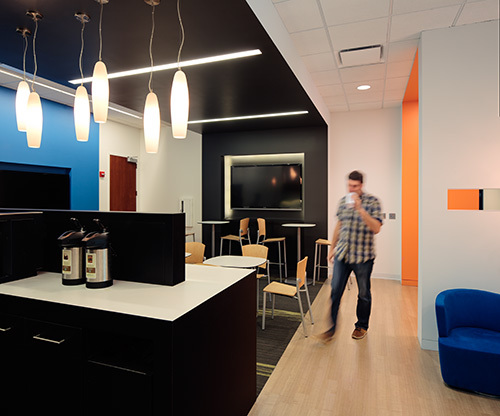 A gorgeous office remodel by Sabatini Architects for DEG in Overland Park, KS. This is essentially a coffee shop, so I was buzzing a little by the end of the shoot. I would never have imagined that the already sublime experience of a perfect shot of espresso (OK, double shot) could be heightened by something so unassuming as a glass of carbonated water. 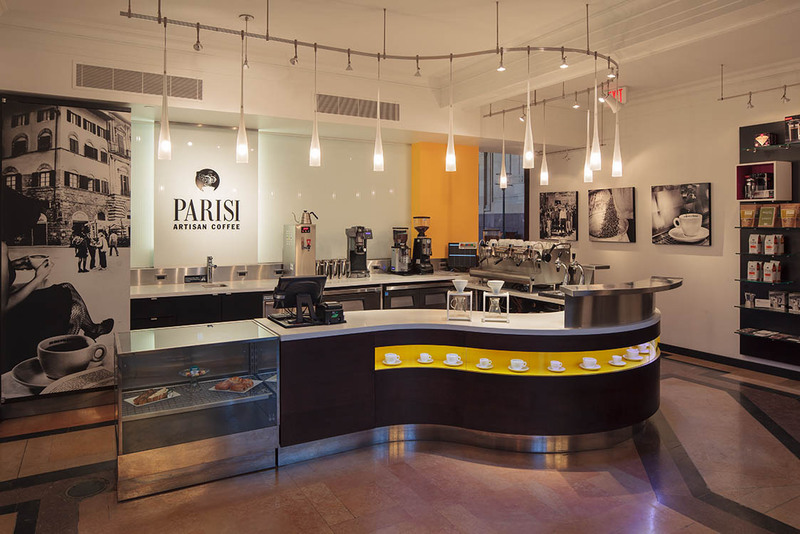 But they knew this all along at the gorgeous new Parisi Cafe in Kansas City’s Union Station. Another design by the world famous Helix.